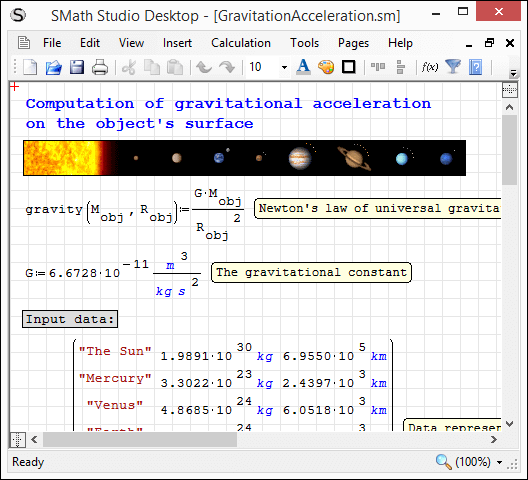 New Stable SMath Studio 0.97.5890 is available! 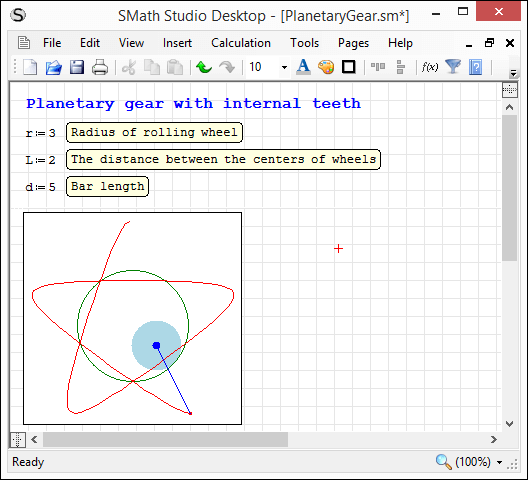 SS-2288: Functions wfile(..) and rfile(..) fixed to always use standard decimal symbol and arguments separator - this allows to use the same files using SMath Studio with different locale settings. Thank you for this new release, with very welcome changes. Thank you very much Andrey for the latest release. Yes, it is my fault. Forgot to update a date. Sorry for this. But it will be the last time this issue happened as I just added date updating to the automatic deployment procedure. [color=darkblue]This new release works fine for me, when I use the basic plugins proposed. Even the speed is well improuved. Thanks for reminding - calculation speed was really a bit improved. Added this to change log. After installing all availables plugins, some of my old applications fails. For the moment I have not investigated to see which plugin produces such a side effect. Please let me know if you find a reason. To say truth I expected nothing should be changed in worksheets or plug-ins for this release. At least hundreds of my complex test worksheets was opened and calculated without any errors before releasing. This new release works fine for me, when I use the basic plugins proposed. Even the speed is well improuved. After installing all availables plugins, some of my oldapplications fails. That's what I'm afraid: scrapping so many work sheets. Guess what: it would scrap my most precious ones. Is the solution, purchase or rent a new PC for each new release ? Not bad an idea as beta testing ... my laptop is too small to avail. I presume that each new release does not evaporate the previous one. If things go bad, will XP restore the previous version ??? My question is pertinent because Smath is absent of the Windows Registry. about my 250 work sheets ? Murphy's law might apply. 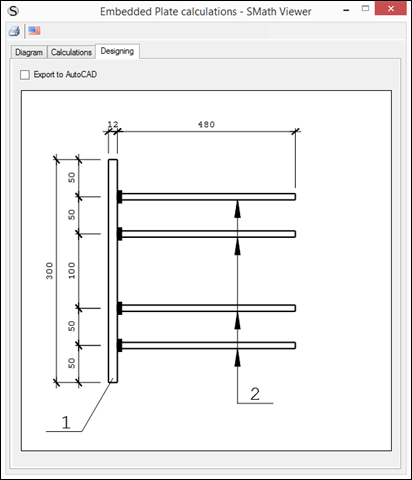 Please don't think that one day soon SMath will gone or will be changed dramatically, so you will not be able to work with your old worksheets. This scenario is not realistic at all. 1) I realize that I have no right to forgot about back compatibility. 2) Before every release (and also during development) I always execute automatic tests to ensure nothing broken in the logic implemented earlier - I have a bundle of about 800 different worksheets. 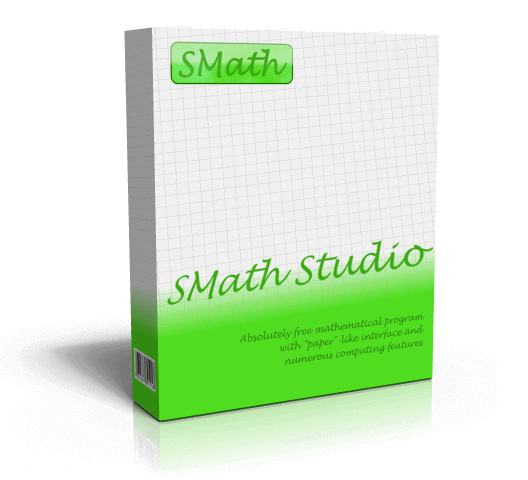 SMath Studio opens them, recalculates and compares results with previous ones. Any registered deviation is my priority task. 3) I've created a tool (with a great help from developers from our community ) which allows me to support third-party plug-ins even if authors will not be able to do it anymore. 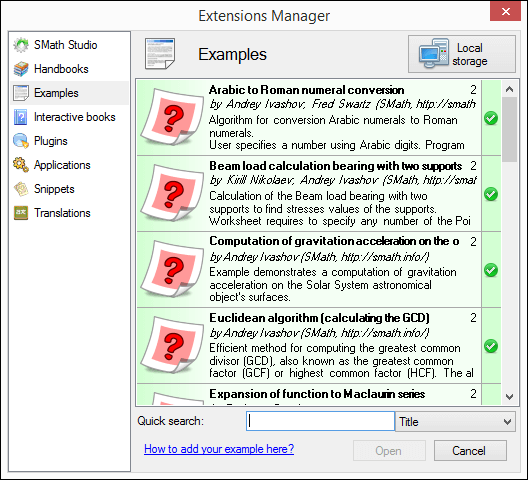 So I can give a guarantee that most of all plug-ins available via Extensions Manager will work for future SMath Studio releases. 4) All previously released versions are still available for downloading, so one can test them if it is really required. 5) I'm not the one who have access to all sources of SMath project (including SMath Core, web-sites and different related tools), so even if something bad happened to me project will continue living and growing. Yes, sometimes I have to do significant changes to API, but I always try to inform about it all the developers and users (I remember only one such situation when logic on the worksheets was changed, so it required small changes to some documents) and publish nightly builds to provide some time for plug-ins migration. This is life. But it is important that all these situations was successfully passed. Thanks Andrey for your kind and recomforting reply. it will be my last tool before succing the roots. If you appreciate as useful, I can send to you by mail a copy of my file. Yes, please. I will test your file and plug-in and will find a reason. I think, it would be better to order the list of plugins according their name. Done. Will be available in the next SS version. Issue investigated and the reason is found. 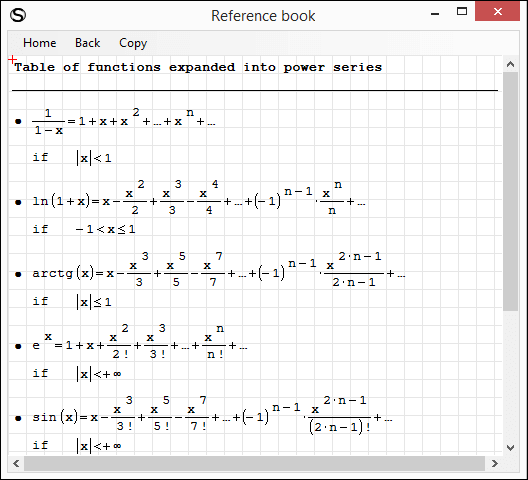 It is because DISLIN plug-in overrides line(4) function (line with two rows). I will contact uni regarding it. For now I suggest to just uninstall this plug-in. More details sent to your e-mail.